Snow day. Or ice day. The sky was raining frozen pellets at 6 this morning and school called to say stay home. This is H’s last semester of high school. This time next year she’ll be watching snow fall outside her college dorm window and deciding for herself if it’s safe to hike across campus to her first class. How many more school snow days will there be before spring? Maybe this will be our last? I shoved the bills and to-do list tasks aside. As M reminded me on his way out the door this morning, Save this day to put in my pocket for a rotten January day next year when she’s not here. So I’m writing this down here for me next winter. Because I’ve missed a whole lot of lasts in my life without knowing it until it was too late, and I’ll be darned if I’ll miss this one. So I’m putting this in my pocket…. 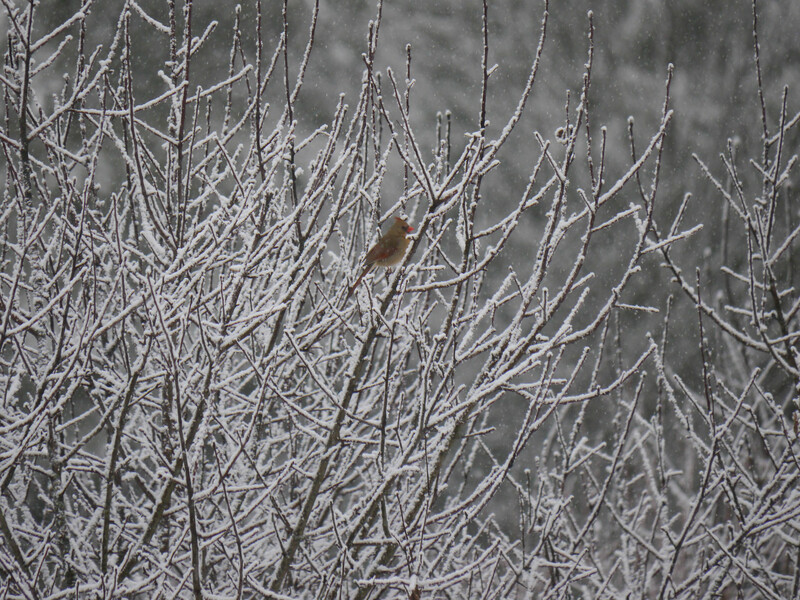 The ice falling and collecting on the branches. The birds flocking to the feeder. 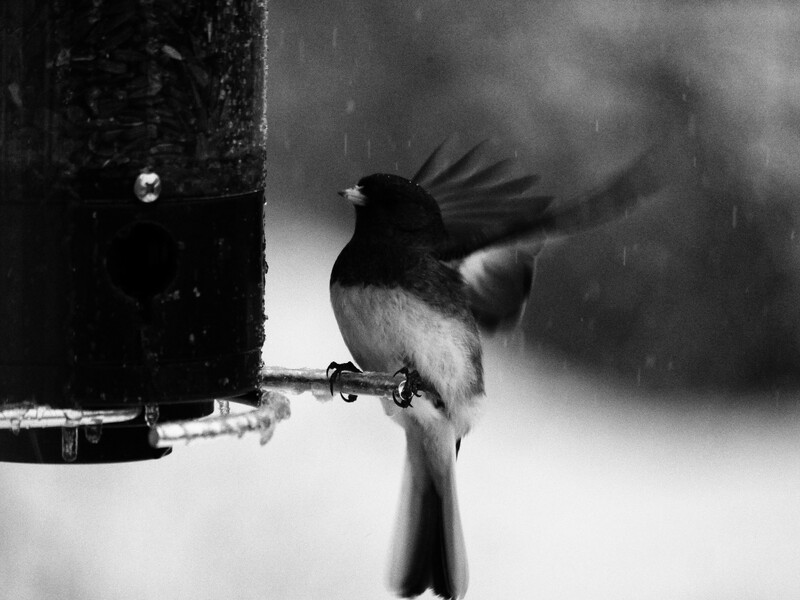 The flutter of wings and the occasional muffled collision with the window. Her coming downstairs mid-morning, in a navy blue t-shirt and jeans, suggesting maybe we should try out some new facial masks she’d ordered. Us sitting on the sofa, faces draped with cold therapeutic masks, watching “The Women,” laughing and repeating our favorite lines, heating up frozen chicken tenders for a mid-movie lunch. Us sitting on the sofa with the TV on talking about the election and the march, about Aziz Ansari, about how sweet-neurotic the dog is, and how cute-weird the cats are and how we both wanted chocolate. Us not talking, each in our own online worlds, but within arm’s reach of each other. Us listening to The Weepies and Jake Bugg and deciding to make crepes for dinner. Us breathing and being and often not even talking, just living in the same square footage. Us waiting for M to come home and join us, to make and eat dinner, to do whatever we do as a family, the way we’ve come to be a family these last 17 years. Me, folding this into a crane, or maybe a cardinal, and slipping it into a safe place in my heart. Oh, oh. Teary. How wise you are to put all of this in your pocket.